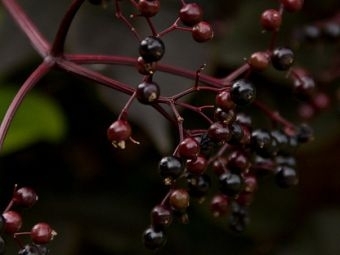 Jellies, syrups, and tonics are some healthful and delicious ways to enjoy the fruits of the elderberry bush. Charlie discusses the finer points of choosing, planting, and caring for the elderberry variety that is right for you. Tune in Friday evening and Saturday morning for elderberry myths and cultivation methods. so even gardeners in the far reaches of the Northeast Kingdom can grow them. honey together for a tonic he swears keeps his family healthy all winter. I’ll be seeing you in the garden!